Author: University of Twente (2018). 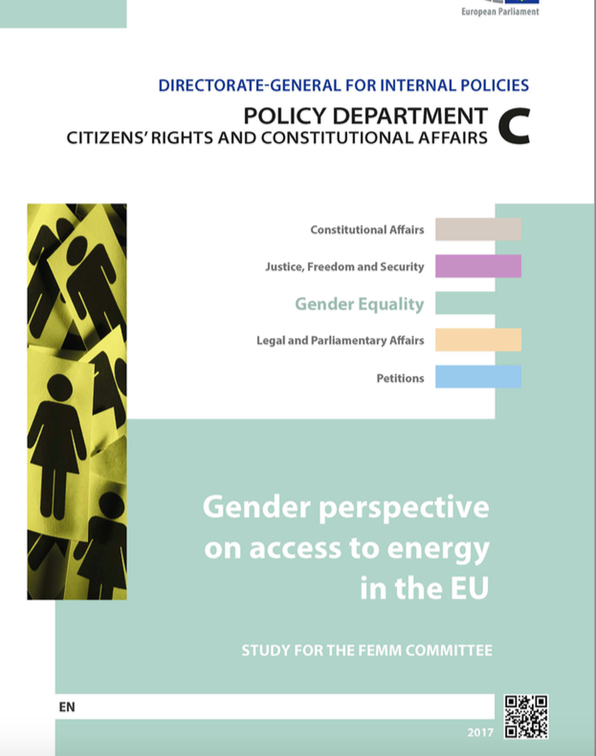 This study, commissioned by the European Parliament Policy Department for Citizens’ Rights and Constitutional Affairs, presents an overview of the situation within the EU with regard to the way energy poverty is experienced by women and men and explores through a gender lens existing EU legislation and policy to address energy poverty. Interpretation and implementation of EU legislation at national level are also investigated. Possible opportunities to ensure that policies and interventions to address energy poverty are more gender aware are identified and discussed.